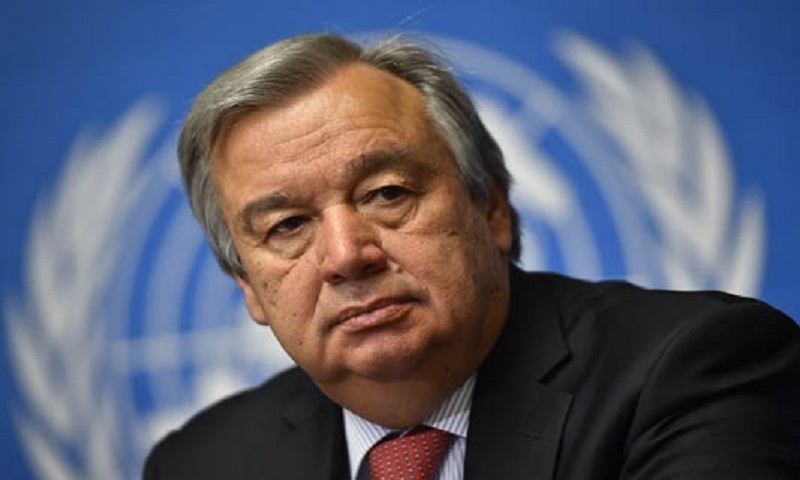 UN Secretary-General Antonio Guterres on Thursday played down hopes for an imminent breakthrough on ending Yemen’s brutal war, saying he hoped talks would start by the end of the year. Huthi rebels, who have persisted in their fight despite an onslaught from neighboring Saudi Arabia, earlier Thursday said they were ready to take part in negotiations that the United Nations had earlier mooted for next week in Sweden. But Guterres lowered hopes on the timing of the talks, which are being arranged as millions of Yemenis are feared to be on the brink of starvation. “I don’t want to raise too much expectations, but we are working hard in order to make sure that we can start meaningful peace talks still this year,” Guterres told reporters in Buenos Aires, where he will take part in the G20 summit. “But, as you know, there have been some setbacks,” he said, pointing in part to Saudi Arabia’s concerns over continued rocket attacks by the Huthis. The United Nations has described Yemen, which is under both a blockade and a bombing campaign by Saudi Arabia, as the world’s worst humanitarian disaster, with at least 10,000 people killed since the intervention began in 2015.
International patience has been wearing thin with Saudi Arabia, which is trying to bolster the internationally backed president, Abedrabbo Mansour Hadi. The US Senate moved Wednesday to cut off US support for the Saudi-led coalition, outraged at accounts of attacks on civilian targets including hospitals and a school bus. The step marked an unusual defiance of President Donald Trump, who has defended a strong partnership with the kingdom’s ambitious crown prince, Mohammed bin Salman. But Guterres and Trump may meet the 33-year-old heir apparent in Buenos Aires, a bold international appearance for the prince as he faces criticism over the kingdom’s murder of dissident journalist Jamal Khashoggi inside Riyadh’s consulate in Istanbul. The Trump administration has publicly encouraged Saudi Arabia to wind down the war and has cited the peace talks as a way to forge ahead with a solution. The rebels, who have ties with Saudi Arabia’s arch-enemy Iran, had balked at attending previous peace talks planned for September in Geneva, saying that the UN could not guarantee their delegation’s return to the Huthi- controlled capital Sanaa. But Mohammed Ali al-Huthi, who heads the rebels’ Higher Revolutionary Committee, sounded upbeat about talks in Sweden — while reiterating calls for safe passage. “I think that the national (Huthi) delegation will be in Sweden God willing on December 3 if guarantees remain to ensure they can depart and return,” Huthi said on Twitter. Hadi’s government has already said it is willing to join the negotiations in Sweden. The UN aid chief, Mark Lowcock, on Thursday paid his first visit in more than a year to Yemen, where UN agencies say that 14 million people are at risk of starvation. Lowcock said he was “very concerned” about the humanitarian situation and wanted to look first-hand at how to improve access for aid agencies.